The Positio Causae was brought by Father Czeslaw Drazek SJ (1934 - 2009) to the happy ending. 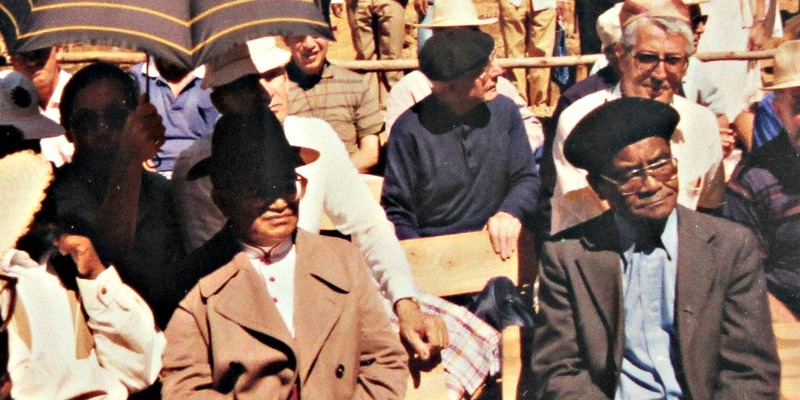 The rest of the procedures, necessary for the beatification process, were completed in Vatican as well. We were waiting for the miracle that would prove the holiness of the Apostle of lepers “in advance” and would support the living cult of the Blessed to be. The beatification was getting more and more expectable and credible. 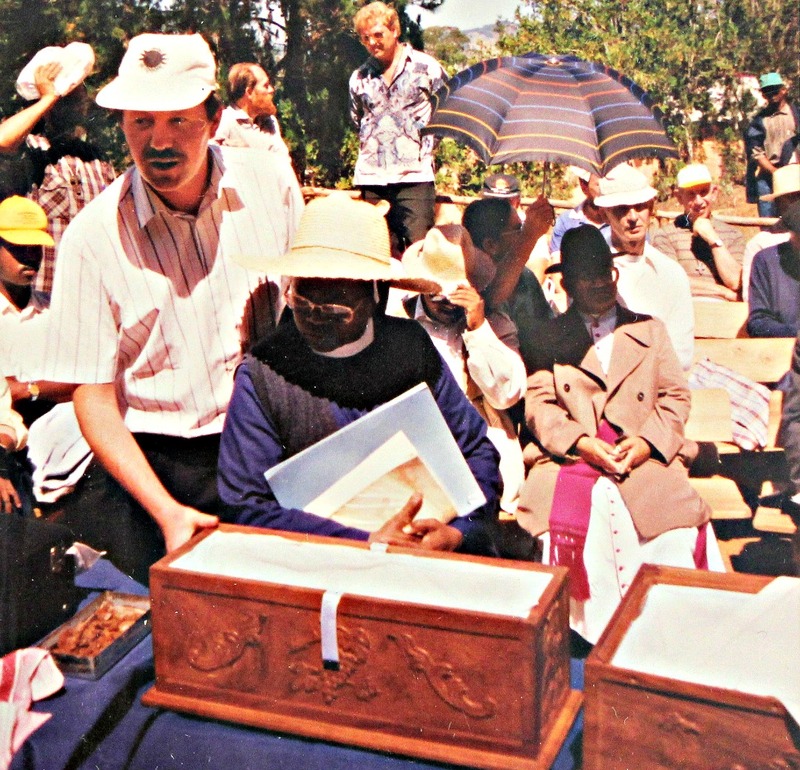 It only remained to bring the relics of Father Beyzym from Madagascar. I was the Superior Provincial of the Society of Jesus South Province at that time, so I went for the exhumation ceremony, planned on December 8, 1993. Father Jan Gruszka, the Province Provisor by then, joined me. 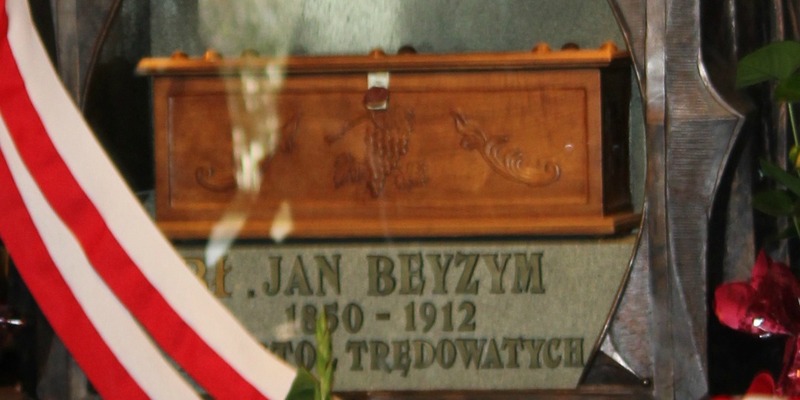 The cult of the Servant of God Father Jan Beyzym was living and age-old, especially in Cracow. A non-profit organization the Friends of Lepers named after Father Beyzym was established by Father Drazek. The faithful gathered at Cracow Basilica of the Sacred Heart of Jesus in Kopernik Street to pray and promote Father Beyzym’s deed. It was from this very place that he left Cracow for Madagascar in 1896. The Basilica was prepared to shrine Father Beyzym’s relics. The Cardinal Franciszek Makarski was looking forward to the solemnity as well. We have been flying to Madagascar via Frankfurt for a few hours. On arriving there we experienced climate shock as there was winter in Poland and hot summer on the island. We met nice, happy and amiable people there. We got into a different world - a poor airport and plain roads. 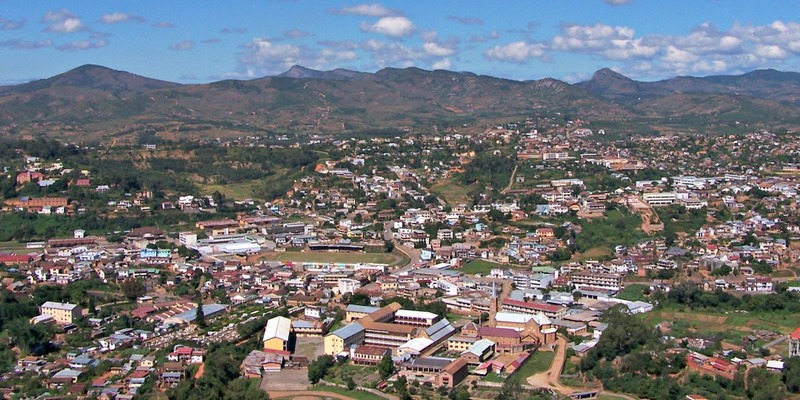 We quartered ourselves in one of the Jesuit communities in Antananarivo, the capital city of Madagascar located on the hills. There is a magnificent view from their tops on the area around. Small trees and bushes, popular in Poland as pot plants, grow there in natural conditions. A good example is a Star of Bethlehem, a very popular plant during the Christmas time that grows on Madagascar like lilac in Poland. After staying for a couple of days in Antananarivo we went to Marana, which is about 400 km from the capital city and where Father Beyzym built the leprosarium for the lepers. He worked there and died of exhaustion. He found his rest on the local cemetery together with his “black chicks”, this was the way he called his supervisees. It is not easy to get to Marana. It is located far from the main tracks. This place was chosen on purpose - to protect the healthy from the sick. 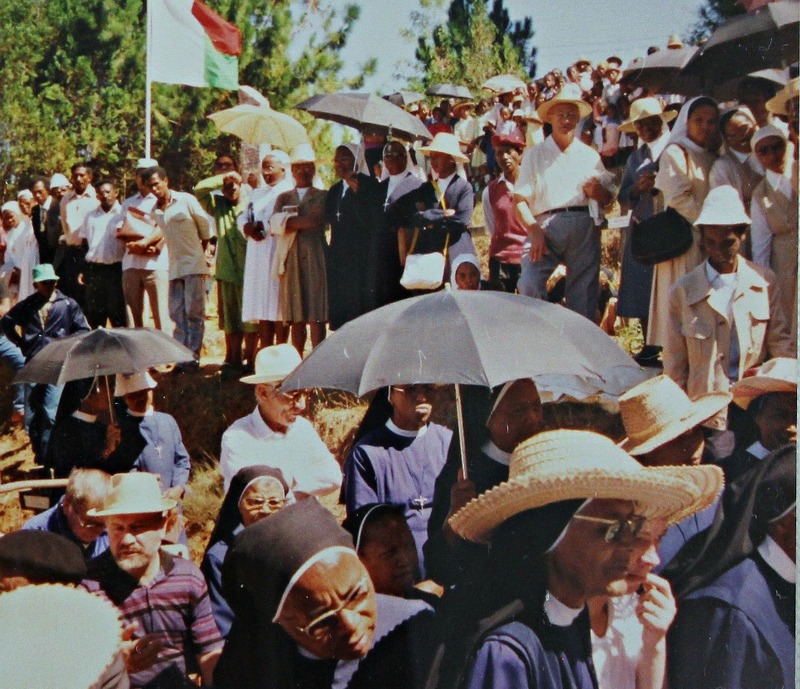 Because of the difficult access to the place, climate conditions and for the fear that the security service would not be effective in this situation, John Paul II did not manage to get to the place while visiting Madagascar in 1989. But on his way back, his helicopter flew over Marana and the Holy Father blessed the place at a height. 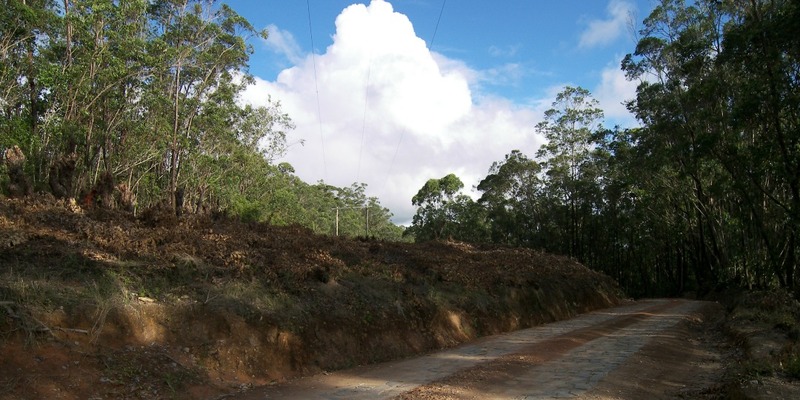 In the Fianarantsoa area the soil is so red that you have the feeling that you walk on powdered bricks. People say that it is also so fertile that the spade put into it may bloom and yield. Father Beyzym’s hospital is located on the mountain Kianjasoa slope. 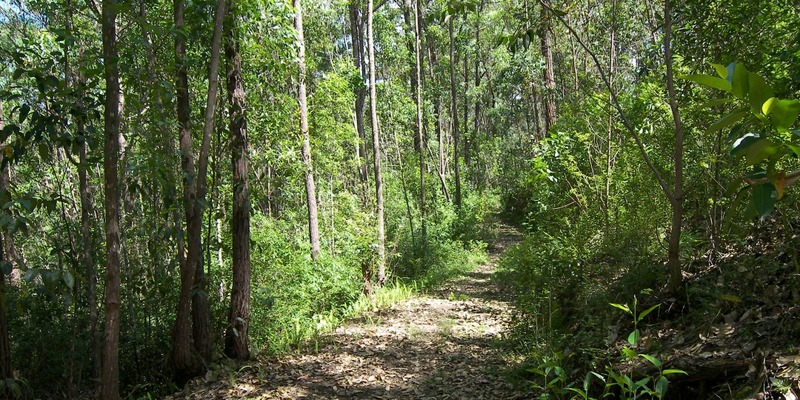 A narrow, steep road leads there. Father Beyzym’s small one-storey house stands in the pinery by the road. Our Blessed lived and worked there. Since he was a very talented wood sculptor, there was a workshop on the ground floor. His office and bedrooms were on the first floor. Looking at this house you have the feeling that a good angel, a protector, a father, a kind person, who was always on the watch, resided there. Father Tritz, the French Jesuit and the hospital chaplain, came to greet us. Cheerful and dynamic, he loved his supervisees the way the Polish Missionary loved them. It was he who had been responsible for the exhumation ceremony preparation. We also met St. Joseph’s nuns, who bravely assisted our Blessed Father from the very beginning of his vicarious work. Time is regarded differently on Madagascar. It is regarded there as a present. It is enjoyed and spent in peace. People live there in time. Time leads them. They do not manipulate the time trying to turn it to their account. All mentioned above is true if we talk about the exhumation ceremony. 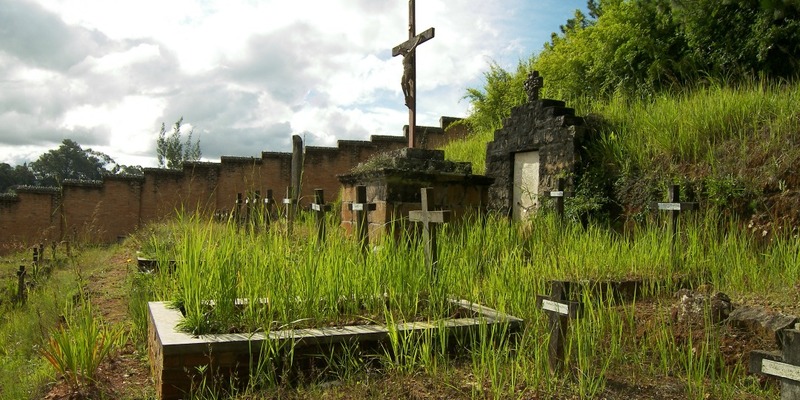 People on Madagascar are tightly bound to the bones of their relatives. When a family member dies, they take him to the Garden of the King, which can be located in some remote area. The body is stoned up and left at the place for a couple of years. Then, after being washed and nicely decorated, the bones are taken home, where they remain close to their home for good. The sepulchers sometimes look much better than the dwellings. 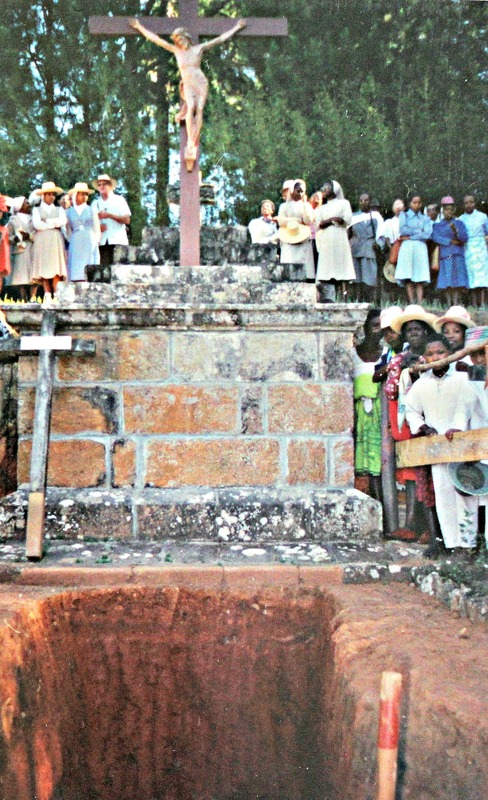 It is very easy to tell who is a Christian and who is an Animist - Christians put crosses on their sepulchers. The exhumation of Father Beyzym’s relics was performed in the spirit of joy. It was the joy of meeting him via disinterring his bones. They were uncovered in the atmosphere of peace. When the bones came into view, they looked as red as Madagascar soil. They were treated with great respect and were put into one place. Everybody was waiting for the scull. For the painters, who paint the portraits of people, the form of the scull is nearly the most important thing to study. When the scull was disinterred, the person performing exhumation took it into his hands with great homage. The next moment the scull came to pieces. Father Tritz prepared two chests: one for the main part of the relics and one for the part we were to take to Poland. Both chests were made of beautifully carved palisander. One chest was to be placed in the chapel built by Father Beyzym in a gorgeous marble sarcophagus. The second was to be taken to Poland and placed at the second column pillar of the right nave in Basilica of the Sacred Heart of Jesus at 26, Kopernik Street, Cracow. The Holy mass celebrated this very day in the afternoon lasted for a couple of hours. It is difficult even to say how long it was. The mass was the expression of the gratitude, acknowledgement and joy for the man of large sympathies, who gave his heart to the poorest of poor. 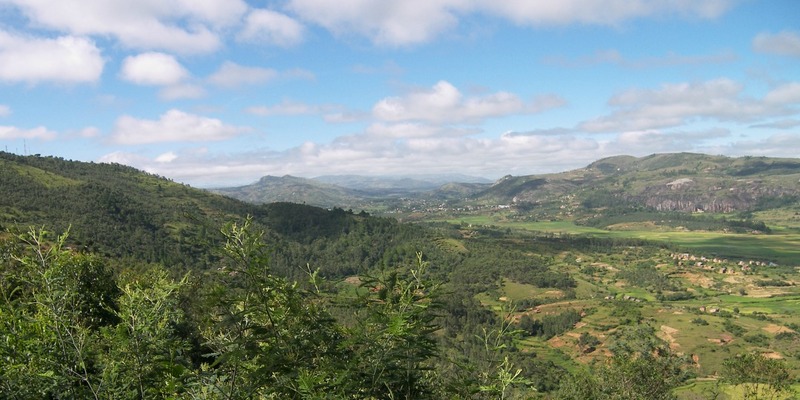 There was the beginning of summer on Madagascar at that time and the nature complemented the ceremony with the fragrance of pine trees and flowers in blossom. 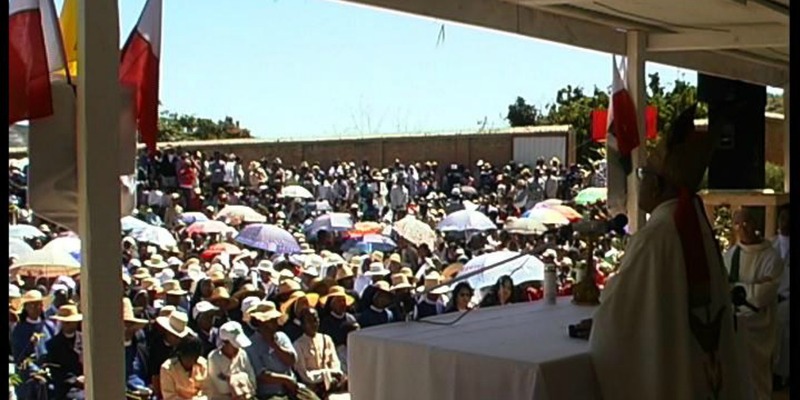 The Eucharist was celebrated by the local archbishop, Malagasy. We were taking the council as for which part of the relics should be taken to Poland and our decision was - the relics of the right hand. The hand that worked hard to help the local people, the hand that comforted with a bountiful hand of God, that administered the Holy Communion and other Sacraments, that taught to work, was reliable, took care of and just loved devotedly. We found difficulty in transporting the relics from Madagascar. We had to get the permission of the Sanitary-Epidemiological Service Inspector in order to take it to another country. All the parties were tired before the permission was issued. The flight was in a moment. It is always difficult to find the motivation for certain events. Speaking about that case - it could be the tardy mode of the inspector’s work or probably some other unknown reasons. We even asked one of the nuns to back us up at the airport. But all is well that ends well. The airport customs were busier with the gemstones shipment than with the transportation of the Blessed relics. Besides, the archbishop of Antananarivo provided us with a document confirming the content of the chest. For some weeks the relics were located at Maly Rynek in Cracow. The long-anticipated day of the relics introduction to the Basilica of the Sacred Heart of Jesus came at last. The Apostle of lepers returned to the same church he left nearly a hundred years ago. The Cardinal Franciszek Macharski greeted Blessed Father Beyzym by celebrating the Holy mass and gave his permission to enshrine the relics in the Basilica in Kopernik Street. All the present on the Eucharist, the Celebrant and the faithful were moved by Blessed Father Beyzym’s returning to the home grounds.